I’ve never been at wedding with such exotic surprise for newlywed couple as at this one of Gabi and Daniel. But let’s wait a little about the surprise details. 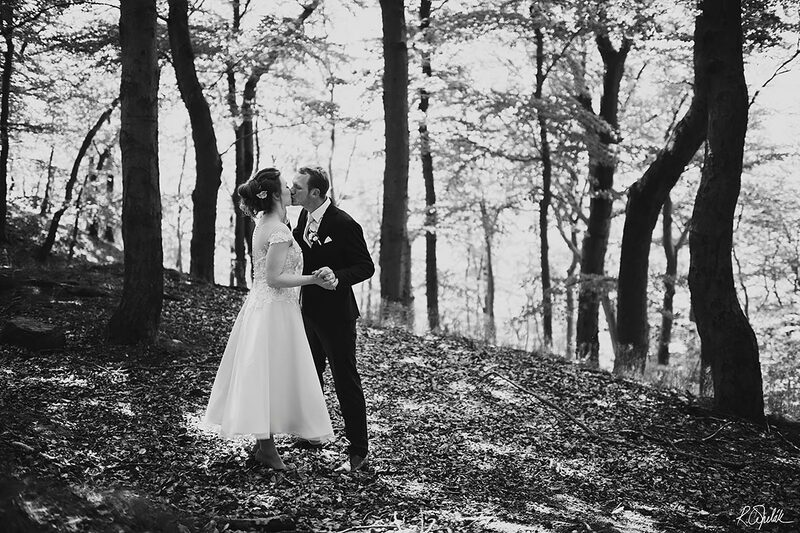 Gabi and Daniel chose gazebo Camera obscura as outside ceremony place, which is located at area with an amazing view at Karlovy Vary city and its surrounding. This such beautiful place is surrounded by forests which creates lovely nature scenery for romantic wedding ceremony. For getting ready and wedding reception Gabi and Daniel chose hotel Imperial in Karlovy Vary. The hotel is really close to gazebo, which was really nice because of short travel distance. And now back to mentioned surprise – Gabi and Daniel had no control over decoration of wedding reception. Only few closest family members who participate on the decoration knew about the details. Gabi and Daniel could only rely on similar forest theme which was prepared at ceremony place. You can look at amazement of newlywed couple and what the surprise looks like on photographs in this blog. But it is important to know that Daniel come from the Republic of South Africa and as Gabi’s father said in his speech: „Girl from Czech forests and grooves married to boy from Africa bush“. I only want to add that both are animals lovers, they are not hunters and all animals were borrowed.